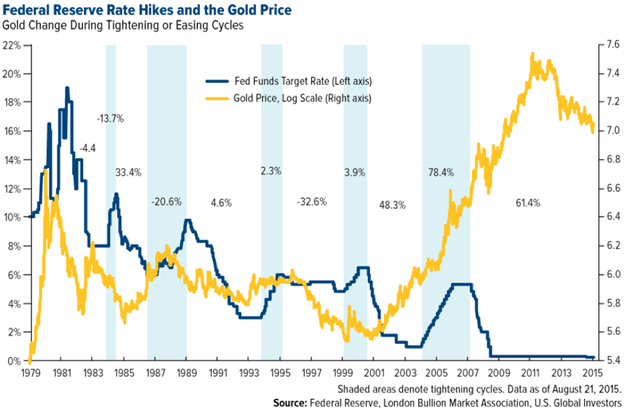 Gold Rising in Sync with Interest Rates Mean History About to Repeat? Could it be that were about to run into the past where Paul Volcker raised interest rate's to kill off rising inflation? Gold went on tall new highs back then. It seem's the symptom's are mounting. Back then Volcker according to him played an important role in President Nixon's decision leading to the suspension of gold convertibility on August 15, 1971 (Gold was about $42.00 an ounce) , which resulted in the collapse of the Bretton Woods system. 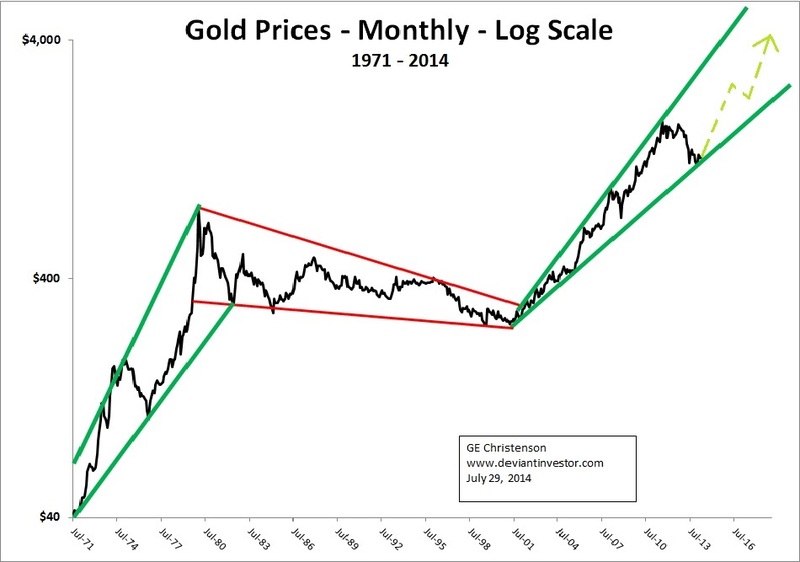 Gold was $135.00 an ounce by 1977 sensing the mounting issue's and in three years by 1980 it hit $850.00 per ounce. Despite all the talk of a stock market in disarray since the start of Donald Trump’s presidency, the stock market has been relatively tame. The Standard & Poor’s 500 index has not posted a gain or loss of 1% in 40 consecutive trading days, its longest-such streak since November, according to Bespoke Investment Group’s Paul Hickey. What’s more, the large-company index hasn’t suffered a 1% daily drop in 80 trading days, its longest streak since November 1996. That run of tranquility raises a key question: What could spook the markets and cause market turbulence to shoot higher? The answer? A long period in which the price of gold and long-term interest rates rise at the same time, warns Michael Hartnett, chief investment strategist at Bank of America Merrill Lynch. “Watch for the combo of rising yields and rising gold prices to signal impending market volatility,” he told clients in a report. Both the 1973-74 bear market and the 1987 Black Monday (market crash) were “preceded by three quarters (or roughly nine months) of rising bond yields and rising gold,” Hartnett noted. So is it time to get worried? Not yet. While gold prices have risen five of the past six weeks to more than $1,230 per ounce, the yellow metal is still down from $1,275.40 on Election Day. The bond market sends a mixed message. While the 10-year Treasury has risen sharply since Nov. 8, rising from 1.85% to a Dec. 16 weekly closing high of 2.6%, it has since fallen back closer to 2.4%.